Pet grooming, running shoes and doughnuts ... Oh my! WINNIPEG, MANITOBA – Shoppers looking for a gift that supports local and gives variety this holiday season do not have to look any further than The Local Frequency's newly launched 'Local Gift Card'. The gift card can be used at any of The Local Frequency's 70+ member businesses in Winnipeg. Shoppers can buy the card online and have it shipped (for free) to them or a friend. "There's something for everyone on your list" says Tyler Ibrahim from The Local Frequency. "Restaurants, wine, spa, chocolate, jewelry, apparel, coffee, doughnuts, craft beer and more. It's a versatile gift that also supports local businesses in our community". Some member businesses in the city include Bernstein's Deli, High Tea Bakery, Cornelia Bean, The Manitoba Museum, Oh Doughnuts, Chocolatier Constance Popp, Beyond Flowers, Barn Hammer, City Park Runners, Hip Pooch and Intercity Autobody, and is growing every day. The Local Frequency is an innovative shop local rewards program exclusively for locally-owned independent businesses in Winnipeg. Shoppers download a free app or pick up a free card at any of the 70+ member locations. They earn points on their purchases at any business and can then spend these points like cash at any business. For those who already love the program, the Local Gift Card is a way for them to share the program with their family and friends. For those that have already downloaded the app, they will be able to link the gift card to their account. If someone is new to the program, once they're done spending their gift card, it can be used to collect points to spend like cash in the group of local businesses as part of The Local Frequency program. For more information and to download the app, visit www.thelocalfrequency.com/localgiftcard. 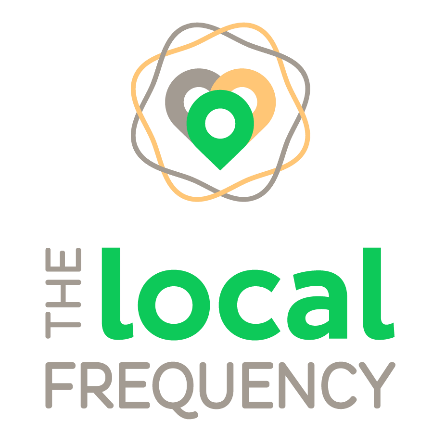 The Local Frequency is a shop local rewards program that encourages people to shift their purchases to 'local', strengthening our local economy. The Local Frequency is a member of the Protegra Community of software-driven businesses, is 100% employee-owned and based in Winnipeg. They help organizations and individuals solve interesting problems and work with stakeholders to come up with innovative solutions. Protegra has built an excellent reputation for delivering software-enabled solutions to the public and private sector around the world since 1998.